And d'yer know why I did it? 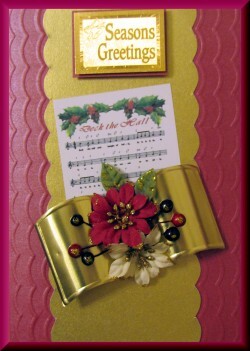 Welcome to my Craft Card Making Scrapbooking Poems Verses. The following "ditties", prayers, sayings etc have been gathered together by Imag-e-nationers, some taken from other websites, some specially written. It is our belief that all of these can be regarded as being in the public domain and free of copyright.If anyone feels their work has been used without permission, please say and we will take the requested action. Born to Crop! Not to Mop! Help! I've got scrapbook fever! I got a pile of scrapbook supplies for my husband. It was the best trade I ever made! I only scrapbook on days that end in "Y"
Once I discovered Scrapbooking I forgot how to cook! Saving memories one page at a time! Warning: Scrapbooking can be hazardous to your wealth! 4.I will not let my crafting area look like a condemmed area. 5.I will not relegate the kitchen table to crafts. 6.I will not attend craft shows just to get more ideas. 7.I will not stock up on more craft supplies just because they are on sale. 9.I will not let my crafting distract me from fixing dinner. 10.I will not stay up all night crafting. 11.I will not save dryer lint,empty cereal boxes,detergent scoops etc. 12.I will not buy every craft magazine I see. Crafts are here, crafts are there. My craft supplies are everywhere. But I like it, I must confess. Seems that any place will do. Filled with things folks like to buy. There’s still room to park the car. New ideas come my way. But at least my imagenation’s great. Although at times I am a pain. I really am a crafty one !! Crafts forever - housework ........... whenever!! Just on line for a second, and popped into chat! Just You wait till you see My New Work of Art!!!!!! her embossing was quite fine. so away out we went to dine. but there was no time to dust. but the laundry wasn't done. when she failed to make the bed. the crumbs dropped all over the floors. I found a maid on Saturday! and the house will still be neat. for the Maid has learned to stamp!! and then I bought some more. it would last for years, I knew. with powder & a heat gun. lay scattered on a chair. & said things had to stop. at the local charity shop. The latest stamp I bought! 1) It helps keep the economy going. It is one's duty to support cardcraft manufacturers, timber/paper mills, craft shops and internet sites. 2) It is less expensive and more fun that psychiatric care. 3) It's participation in a contest- The one who dies with the most unused peel offs, toppers etc, wins. 4) Craft bits keep without refrigeration, you don't have to cook them to enjoy them, you never have to feed them, change them, wipe their noses or walk them. 5) It's not immoral, illegal, or fattening. It calms the nerves, gratifies the soul, and makes one feel good. Before my days are done. You see, I’m a craftaholic. A fact not known to some. Just "need" a dozen of each. Before the family starts to preach. To dispose of all this stuff. As a new-ish card maker I wonder if there are any rules as to the thickness of dust I should let accumulate before I stop crafting and start cleaning? Just let it settle for a month, then you will never need to dust again, as at this point you don't notice it,and it seems to dust itself.I hoover when my grandson starts to eat the paper off the floor!!!! You cannot possibly move that dust; after all the particles would only settle on the glue, cards, inkpads, embellishments,etc.et. Just leave it, with any luck it will get infused with glitter, and you will be able to scoop it up and use it. Dust? What's that? My furniture has different hues of colour depending on how the light is, sunny, overcast - sometimes it's a lighter shade of pale........As for hubby noticement - if he does, do what he does and go selectively deaf and blind. He'll soon give up!! Actually if you just let the windows go there is little chance of enough light entering to show up anything untoward at all. You just need to have focused light on your craft table, of course you can't eat at table because there isn't room so it's tray on knee by tele-light and as long as you keep the kitchen and bathroom relatively tidy...who's to notice. What is dust? 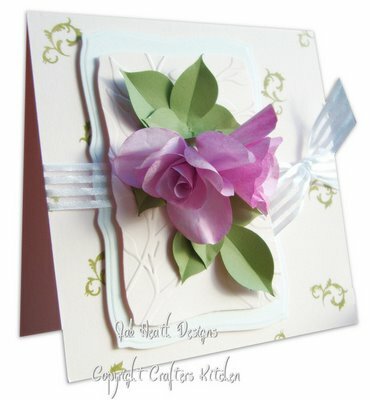 I have been so busy card making for the past 3 months I can't remember what it is. No doubt i will soon remember if the in-laws come to visit!!! Oh it really makes me feel better to know you all love dust as much as me. The rest of my inlaws are super tidy and make me feel scruffy, but give me crafting rather than dusting anyday. Pity I don't have one of those husbands who doesn't notice! Of course there's always those sayings 'Get a life' or 'I have a life' and after all, dust will still be around long after us so why worry about it? I start to dust when the cats start to sneeze. But do kids need to have diner every day? Who said women have to dust??????? If other half doesnt like it he can do it himself!PS What is dust anyway???? The only dust I bother about is the stuff that settles on the monitor, or else I can't see what you lovely people have written to make me laugh. I've found that if you allow the other half to spend his money on new technological gadgets, then he likes nothing better than dusting to keep them clean. Thank you so much for all those answers. How wonderful to discover that we are all 'sluts' Sadly there is no hubby now so it is just my conscience that was stirring. It's that spring sunlight, highlighting dust and fingermarks! Conscience??? What's a conscience? For dealing with spring sunshine see my original posting about windows! Some of those quotes deserve to be made into fridge magnets! Or car stickers!! Ponder the difference between want and need. Friends to cherish and a life to lead. You yourself will make more dust. Remember, a house becomes a home when you can write " I love you " on the furniture.